Just moments ago, I got the news that Gardner Dozois has passed away. I’m so saddened by this. The work he did as an editor has helped shape our field. When he took over editor of Asimov’s Magazine, he widened the stylistic scope of the stories published, and helped the magazine transform from an Analog/Astounding clone into its own distinct and important publication. 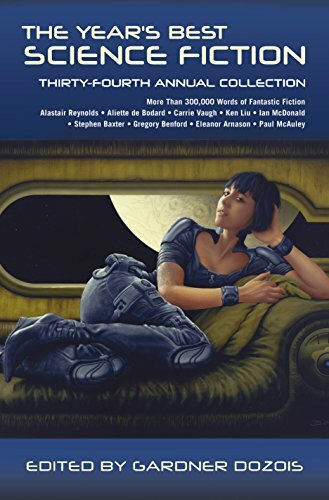 And the annual Year’s Best Science Fiction anthologies were treasure troves; once the field of SF became so large one could no longer read everything published, it was Dozois who helped us find the best, the new directions and new voices. As usual, Twitter was the swiftest disseminator of the news. He took over at Asimov’s just after they published my first short story. For as long as he remained there, I kept hoping I’d sell a story to him. Or later, that I’d be selected for inclusion in Year’s Best. There are testimonials all over the internet, by people who knew him personally. Look to them, for a real sense of his personality. I know him only by his works. And those works touched us all. It’s a discussion and aggregation website. It’s basically structured as a good ol’ online bulletin board. Remember them? No fancy graphics, no slick interface! It’s what you say that counts, not how pretty your post looks. It’s the fourth most visited website on the Internet. Yes, I said the fourth. I’m really excited about this. It’s an honor to be invited! I’m also a bit nervous. It’s live, answer-as-it’s-asked. Still I have a pretty good idea of what some of the questions will be, so I can prep myself beforehand. On the day the AMA goes live, I’ll post the link here, on Facebook, and on Twitter. You should stop by! I’m planning to do it in the evening when most people in North America are home from work. People in other hemispheres: alas, the world is round. You’ll just have to stay up late, if you’re in Europe, or get up early if you’re in India. 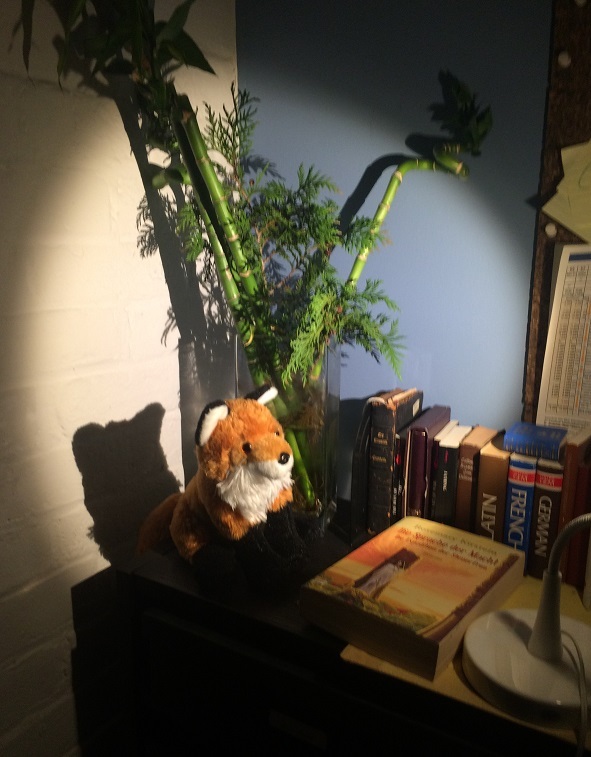 Random photo of a nice corner of my office. Just because.